A team with 10 years experience here to help you free of charge! 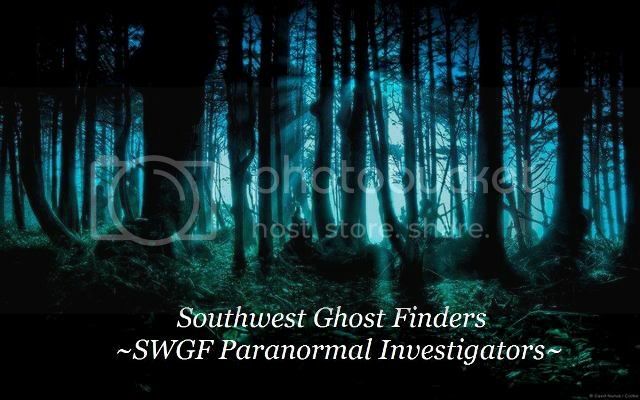 Southwest Ghost Finders (SWGF) consists of a team of individuals who are dedicated to paranormal research and helping others. The team is located in Springfield Missouri and surrounding areas. SWGF offers a professional service to anyone in the community who is in need of help and never charges for investigations or services. Available for Investigations in private homes, business,empty buildings, where ever the need is. SWGF is there to help! SWGF respects privacy and property of the individual! If you find that you are in need of an Experienced Professional Paranormal Team please consider us. Our services are FREE we never charge. We offer investigations with the client as the focus,we work around the clients needs, We have a large array of equipment to cover all bases. Post investigation Interview with the client with copies of all evidence obtained in the investigation for the client to keep. Have questions? 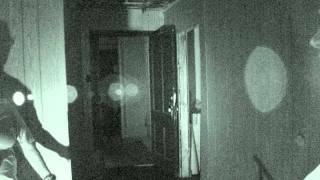 Don't really need a investigation, Just looking for someone to talk to about the paranormal? Email us we will help you or refer you to someone who can.